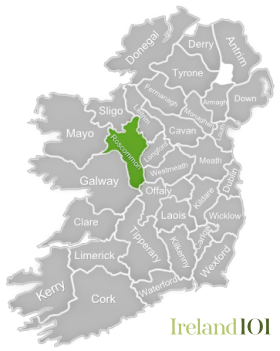 An old joke says that no one is actually from Roscommon, because the county doesn't have a maternity hospital, but you'd be hard-pressed to tell the proud people of Roscommon that. 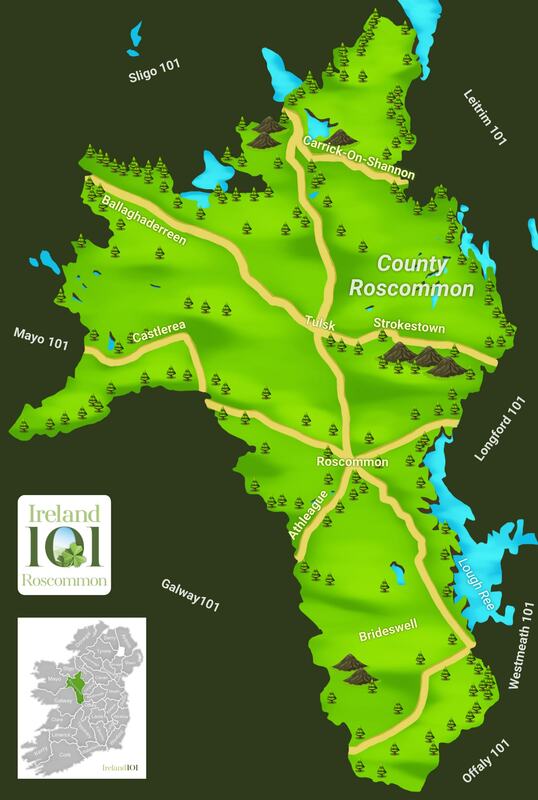 Neither the biggest nor the smallest county in Ireland, Roscommon is generally ignored by the rest of the country, which is odd, given that the county’s pronounced shape on the map could make it the business end of a few more jokes. 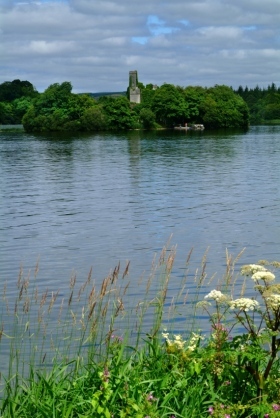 In fact, Roscommon is quite beautiful, with a varied Connacht landscape that encompasses lakes, rivers and mountains. Plus, with the actual geographical centre of Ireland located on the shores of Lough Ree in Carnagh East, Roscommon has every right to hold its head high. You can learn a lot about Ireland in Roscommon. 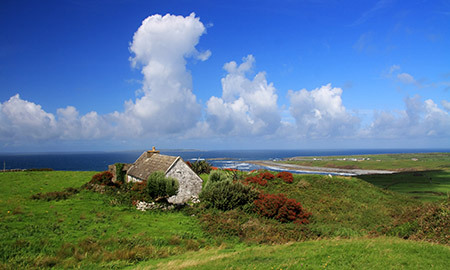 For starters, it was the setting for numerous Irish myths, including the UNESCO World Heritage Site, Rathcroghan, which was the home of mythological queen Maeve. Roscommon also houses the National Famine Museum in Strokestown – one of the few museums in the world on the topic of the Famine. In the town of Boyle, you can visit the stunning remains of Boyle Abbey, the first Cistercian monastery in Connacht, founded in 1142. 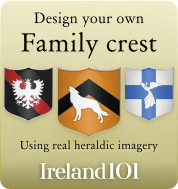 Likewise, the King House in Boyle is a lofty old Georgian castle that faces onto the River Boyle, while the crumbling, ivy-covered remains of Roscommon Castle near the county town were constructed in 1269. Roscommon has also produced its fair share of important Irish people, such as the first president of Ireland, Douglas Hyde, who is commemorated at the Doctor Douglas Hyde Interpretative Centre in Frenchpark. He also founded the Gaelic League in 1893, which, among other things, aiding in Irish becoming an official European Union language. 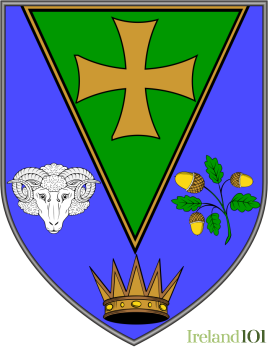 Other famous Roscommoners include actor Chris O'Dowd (of The IT Crowd fame), entertainer Percy French and early Hollywood actress, Maureen O'Sullivan. 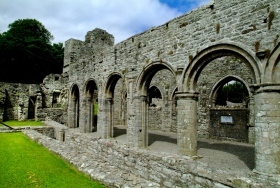 Arches in Boyle Abbey, Roscommon. Lough Key Forest Park, Roscommon. 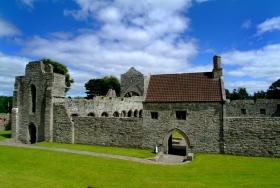 Boyle Abbey is an impressive and well preserved Cistercian Monastery which was founded in the 12th century. 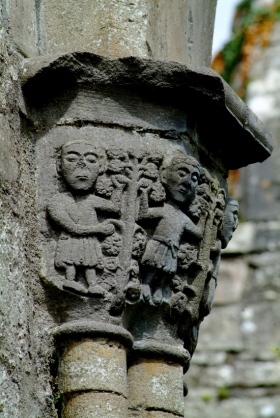 Stone detail, Boyle Abbey, Roscommon. 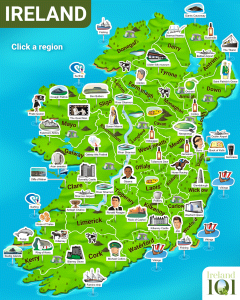 How much do you know about Roscommon ?